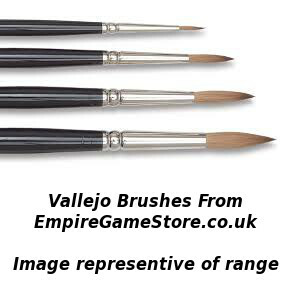 Paint brushes typically used for Wargame models are typically sizes 0 to 2, though bigger size brushes might be suitable for terrain pieces or dry brushing. Many of the brushes we sell are Kolinsky sable hair brushes. Kolinsky sable hair brush (also known as red sable or sable hair brush) is a fine artists’ paintbrush commonly used in highly detailed model work. 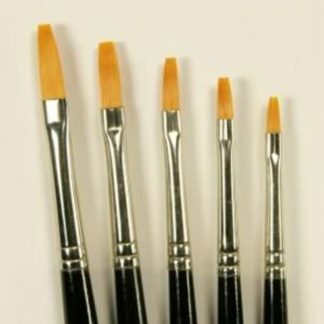 Budget Synthetic Flat Brushes are also available. Mig Productions Brushes – Abteilung Flat Brush Size 1?